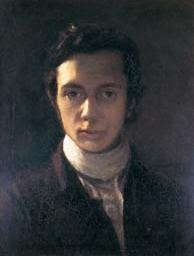 I've always enjoyed reading William Hazlitt, so I consider his "Table-Talk, Essays on Men and Manners", that I found today, a find. 'There is a pleasure in painting which none but painters know.' In writing, you have to contend with the world; in painting, you have only to carry on a friendly strife with Nature. You sit down to your task, and are happy. From the moment that you take up the pencil, and look Nature in the face, you are at peace with your own heart. No angry passions rise to disturb the silent progress of the work, to shake the hand, or dim the brow: no irritable humours are set afloat: you have no absurd opinions to combat, no point to strain, no adversary to crush, no fool to annoy—you are actuated by fear or favour to no man. There is 'no juggling here,' no sophistry, no intrigue, no tampering with the evidence, no attempt to make black white, or white black: but you resign yourself into the hands of a greater power, that of Nature, with the simplicity of a child, and the devotion of an enthusiast—'study with joy her manner, and with rapture taste her style.' The mind is calm, and full at the same time. The hand and eye are equally employed. In tracing the commonest object, a plant or the stump of a tree, you learn something every moment. You perceive unexpected differences, and discover likenesses where you looked for no such thing. You try to set down what you see—find out your error, and correct it. You need not play tricks, or purposely mistake: with all your pains, you are still far short of the mark. Patience grows out of the endless pursuit, and turns it into a luxury. 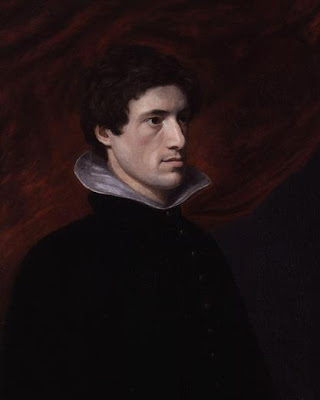 A streak in a flower, a wrinkle in a leaf, a tinge in a cloud, a stain in an old wall or ruin grey, are seized with avidity as the spolia opima of this sort of mental warfare, and furnish out labour for another half-day. The hours pass away untold, without chagrin, and without weariness; nor would you ever wish to pass them otherwise. Innocence is joined with industry, pleasure with business; and the mind is satisfied, though it is not engaged in thinking or in doing any mischief. My first thought was that he either must have been a very skilled painter or never tried to paint or draw. I realized that I knew very little about him, so I made a detour on the web and learned that he indeed knew how to paint. 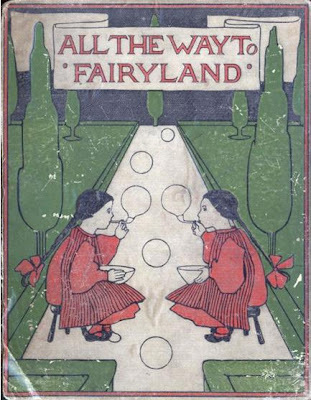 Today's other find was "All the Way to Fairyland, Fairy Stories" by Evelyn Sharp and with illustrations by Mrs. Percy Dearmer. 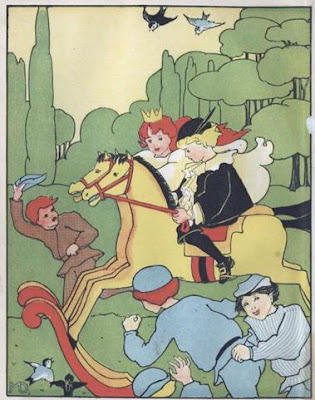 I knew her mainly as a suffragette and although I've read some of her books for girls, I didn't know that she had written fairy tales. thirty find so much amusement." 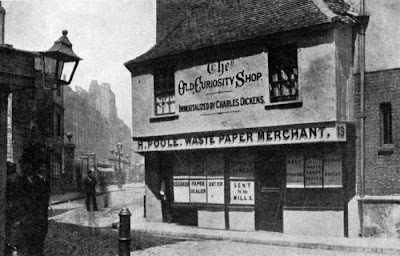 THE (REPUTED) "OLD CURIOSITY SHOP. "There is also a book from 1903 about "Dickens' London by Francis Miltoun. But this is a book I have to return to — and also a book that probably is of more interest to someone who knows London better than I do. 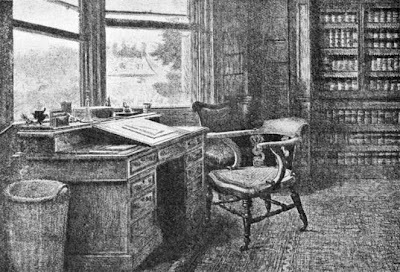 DICKENS' STUDY AT GAD'S HILL PLACE. From a painting by Luke Fildes, R. A.